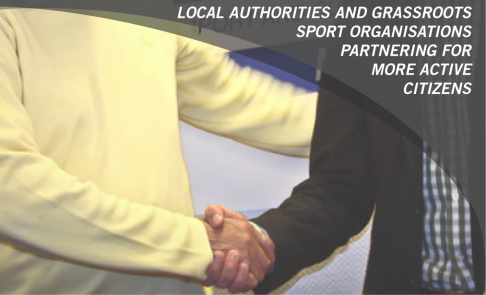 The most valuable partnership for participation in sport and physical activity in many parts of the world is the partnership between local authorities and sport organisations. This partnership is an enabler, which means that by joining forces to set up and promote physical activity initiatives, local authorities and sport organisations have more power to involve local citizens and deliver sport and physical activity close to the citizens in their daily life. The partnership between local authorities and sport organisations in Europe was the topic of a Public Hearing within the European Committee of Regions on 10 April. The partnership between local authorities and sport organisations operates in different cultural, political and economic contexts – and naturally with different outcomes and impacts. But the fact that this partnership has shown a significant ability in quite a few countries to make citizens and their local society benefit from more physical active lifestyle is a good reason to stress the importance of this partnership and to stimulate the development of this partnership. At the Public Hearing in Brussels, organised by ISCA’s EU-supported ACTIVE Network project, representatives from a number of key stakeholders in sport and physical activity, including Yves Le Lostecque, Head of Unit (Sport, Erasmus+) at the European Commission; Jane Ashworth, CEO of StreetGames, UK; and Steve Bedser, Councillor from the City of Birmingham, UK, contributed to a lively forum on how different sectors can work together to promote sport and physical activity in Europe. “We have a complicated situation in Birmingham; we have 26% of obese people and 80% of people are inactive. Even though life expectancy has improved, it is pretty low. Inactivity transforms hundreds of thousands lives lost and tremendous financial cost,” he said. “StreetGames has 250 local projects. We work with all levels of the UK government. We work with local authorities and with the private sector,” she said. The ACTIVE Network Public Hearing reinforced what the project has set out to raise awareness about: that local authorities and sport organisations are the key players in the game of making Europeans more physically active. It is our obligation to develop these partnerships and spread the examples of good practices that exist in and across our sectors.